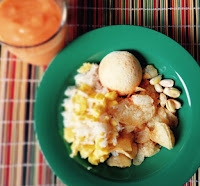 Bienvenidos a (welcome to) Day #7 of Chocolate and Bolivia Theme Week, and we're ending Bolivia week with the closest facsimile to a Bolivian brunch that we could find. 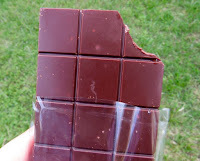 The menu included fresh fruits sweetened with honey and topped with nuts; Amazon popping corn; potatoes; beans; egg and rice; cunape (South American cheese bread); and, last but certainly not least, a chocolate from Stone Grindz Chocolate (Scottsdale, AZ)—the company that produced a Wild Bolivia* bar featured earlier this week. 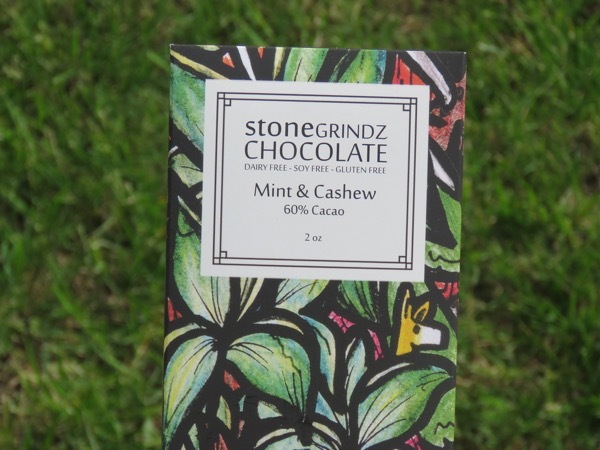 Today's Stone Grindz Chocolate Mint and Cashew bar was made with the company's house blend cacao*, so it wasn't clear whether that included Bolivian cacao or not. However, I decided this bar might pair nicely with today's Bolivian-inspired food. 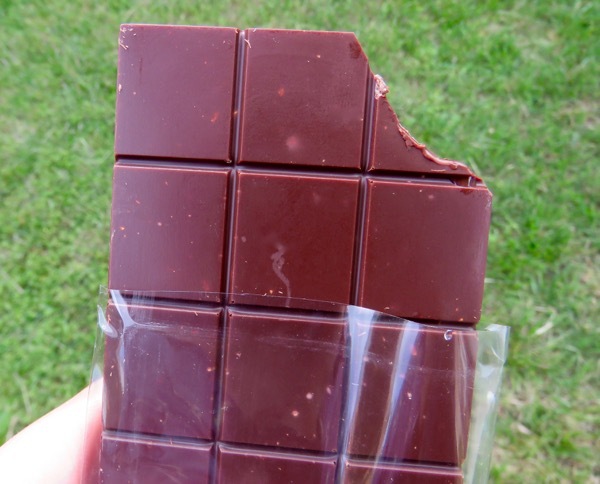 This 60 percent cacao chocolate was relatively sweet and had rich caramel and chocolate brownie notes with natural, fresh tasting mint flavor. 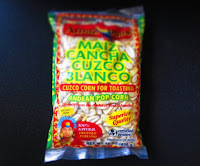 The texture was smooth; and small pieces of cashew added mild nut flavor and texture. 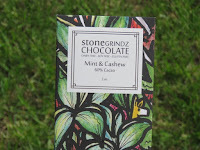 *In April 2017, Stone Grindz Chocolate was offering single origin bars from Bolivia and Ecuador.